In 2012, plastic manufacturers shipped approximately $373 billion in goods and services. 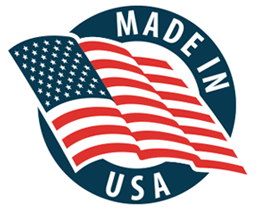 From Tupperware to pharmaceutical containers, it’s all produced and shipped from the third-largest manufacturing industry in the United States. However, not all plastics are created equal. Some types of plastic are more dangerous than others because of their contents and the way they’re made. Whether you have small children or pets, it’s smart to keep safe plastic in your house. If you want to promote a safer household, keep these three safest plastics around. This plastic is labeled with a number two inside a small triangle. High-density polyethylene (HDPE) is a polyethylene thermoplastic made from petroleum. HDPE is hard, opaque and can withstand somewhat high temperatures. Items made from this plastic include food packaging containers, as well as bottles for motor oil, shampoos and conditioners, and soap bottles. It’s extremely recyclable and safe to use in your home. Low-density polyethylene (LDPE) is labeled with the number four. Like HDPE, it is a thermoplastic made from petroleum. It can be found translucent or opaque. It is flexible and tough, but breakable. Plastic cling wrap, sandwich bags, squeezable bottles, and plastic grocery bags all are made from LDPE, and it can be recycled. Polypropylene is what is known as a is a thermoplastic polymer and is labeled with the number five. It is strong, tough, has a high resistance to heat, and acts as a barrier to moisture. This makes it ideal for use in plastic diapers, Tupperware, margarine containers, yogurt boxes, syrup bottles, and most importantly, plastic pharmaceutical containers. It can be recycled, but is not as widely accepted as other types of plastic. 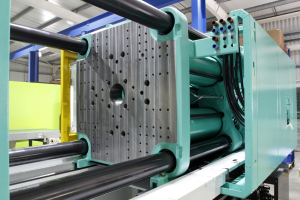 In 2013, injection molding and extrusion represented over half of all plastics transaction volume. These procedures are used to create all forms of plastic, and can provide one of the most effective and safe manufacturing methods in the world. The first part of keeping a home safe is making sure the products are manufactured in a safe way, and plastic molding engineers do just that.